Bypass, the new movie that I am doing with the college group is really taking off. Just yesterday, the band Attaboy has joined us in this endeavor. They have allowed us to use their new song “Dangerous” in our film. Through the connections I have made at Mars Hill Church (Grand Rapids) working on Dust Comics with them, I plan on using those connections to meet with Rob Bell. The hopes are that Rob will be able to use this film in his Nooma series. We expect that proceeds of the sale of this dvd will go to help the less fortunate. –noun, plural -gies. 1. combined action or functioning; synergism. I often hear the word synergy tossed around in conversation. This led me to think about what is the antonym of synergy. When it comes to volunteers in ministry I have been fortunate enough to see the synergistic effect in action. However, I have also witnessed the opposite take place. If we were to look at the Detroit Pistons team right now, on paper we might think they have a great team. However, adding an all-star, Allen Iverson to the team has done anything but have a synergistic effect. It has proven just the opposite. It is about time that I start podcasting. I have been really busy lately as you can probably tell by the time elapsed in between blogs. I am undecided yet as to whether or not I should simply podcast sermons only. Over the past week I have been listening to various podcast sermons and I have been a bit surprised. The podcasts with the most subscribers are actually the worst sermons. Luckily, I connected with Ricky Page at Spring Hill who directed me towards a few good speakers. Have we become a society that thinks we are incapable of lying? Do we really think that the words we speak are always beacons of truth? Or are we so dillusional that we are buying into our own lies? Maybe it is naive, wishful thinking? The Spirit of God is in this place; says the television evangelist… sorry that I’m cynical here, but I don’t think the Spirit of God is anywhere near that individual’s ministry, or life. I am going to get a $100,000 job with no degree or experience because I am believing God for it. Keep believing it, it isn’t going to happen. When reality & truth smacks these people upside the head, if it ever does, they simply reinterpret what they said, and ignore that they were not being honest with themselves, with God, and with others. Also, just because we speak a word does not mean that it has to come to pass. We are not God. The universe did not come into being by our words. I have been struggling with a battle against sensationalism. I am using sensationalism as subject matter, language, or style producing or designed to produce startling or thrilling impressions or to excite and please vulgar taste. I have recently read some good Christian books. The titles tease the reader and make them belive it would be worth the vested time to read. I enjoyed the books alright, but also realized that the books had so much more potential that was never realized. It seems as though the writers try to provide solutions to problems that do not have solutions just to appeal to the masses and sell copies. I am approaching a crossroad where I hope that I do not chose the path many of the other published writers chose and appeal to the masses to make my life easier. My prayer is that God will, and I know He will, open up some other doors. It is already December and I survived Thanksgiving. Now it is on to Christmas, a sermon on December 28th, and an all night New Year’s Eve lock-in. Right now is kind of the calm before the storm–however, if you know it is gonna be a big storm than there really is no calm–just busyness of preparing for the impact. With all that being said I am preparing to start working on my doctorate of ministry degree. I will be enrolling at West Coast Bible Seminary. I first need to be accepted into the program (not really worried about that) but I am really looking forward to studying and being mentored by great Christian minds again. Life is funny. I could end this blog with those three words and it would probably suffice. However, to delve into my inner thoughts I will elaborate on what I am a referring to. God has chosen to give me brief insights into my future. They have come in the way of a dream and a vision. The common theme of both of them is that I get a snapshot into my future without any knowledge of how or when I will ever get to that spot. I normally would not share any of these with anyone because I am always cautious about people sharing “divine revelations from God.” However, I trust that although God gave them to me to help guide me along, it is important that I share them with you. The first dream I had has already come to pass. I had a dream before I ever met my wife that my first child would be a boy. I shared this with some select people but it didn’t seem to register with them. I wouldn’t expect it to because it was given to me, about my life, not theirs. The reason I can say with confidence that it didn’t register is because when we did a baby pool a lot of people were sold on the idea that we would be having a girl. I trusted God that I would be having a boy and that is what we had. Normally I would not think that a dream would necessarily be of God but the dream I had where I saw my son at about age 2 stirred something inside of me and ultimately helped me in knowing exactly who God intended for me to marry. B.T.W. I had the dream ~ 8 years before the birth of my son. I also have had a vision. It sure doesn’t seem that it will come to fruition if you knew me now. I was given a vision back when I was in high school of me preaching on a hill to a crowd of hundreds of thousands of people. I definitely do not know how that is going to happen. I am not the world’s greatest preacher and I am not recieving phone calls on a daily basis asking to speak at retreats. (Funny thing is as I write this I just did get an offer to speak at a women’s retreat) My celebrity status is as close to zero as it ever could be. Outside of the immediate area I am not even known in Christian circles. With all this being said, I know in my heart that someday the vision will happen. I am not pursuing become a national speaker, or becoming a pastor at a larger church, I am trusting God that He will be able to deliver what He has shown me. In fact, I much rather prefer smaller crowds. We will see what happens, but I thought it would be important to share this bit of personal insight with you before it happens. There is nothing worse than a person that claims they knew things after they already happened. For the second straight week (not consecutive days in a row) I wore my Pick Jesus sweatshirt. Both times I had people stop me to tell me that they liked my shirt. In the past I had kind of been leery about wearing religious type shirts- mainly because they are hooky or too in your face. However, this made me stop to think a bit. With wearing this shirt there is a level of accountability build in that holds me accountable for my actions. People know I am a Christian and I better act like one. Often when I am wearing the shirt I forgot I have it on. It is also important to point out that people are observant and they noticed our actions probably as much as they noticed the shirt we have on. Another thing that happen in regards to always being ready is that I received a message at 6:45 in the morning that I would be preaching the sermon this Sunday. I am in between services right now–so far so good. However, I truly believe the message God wanted me to preach today was a divine appointment. We never know when these divine opportunities will present themselves. What we do know is that we must always, always, always be ready. I have finally come to the chapter in my life where a minivan is a necessity. One can argue that a van is manly because you need the extra room to transport your hound dogs and other precious cargo like your children. 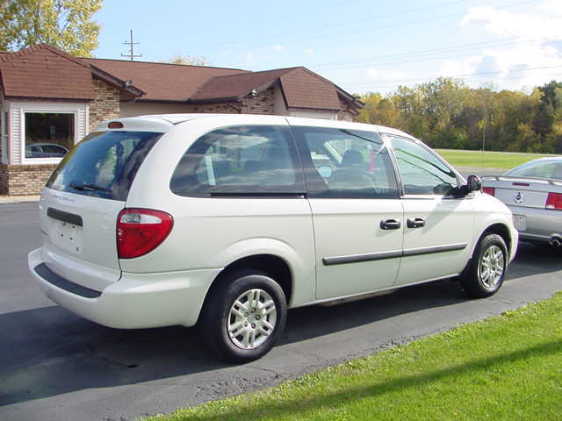 We all know that for a man, driving a minivan is equivalent to wearing a pink tutu while playing tackle football. You can put on the helmet but in the end you are still wearing the tutu. Maybe we should all be required at some point in our lives to drive a mini-van. Everyone knows that a man driving a minivan is a lot less likely to show road rage or shout obscenities or give you the middle finger. Maybe swallowing your pride, being a little embarrassed, and taking one for the family is the best in the end. It is initiation into fatherhood much like wearing a pink tutu is initiation for rookies on a football team. So I say, men drive your mini-vans with pride. Lets recognize each others plight and honk that clown horn twice for me as I pass you on the road. I present to you the first team to ever go 82-0 and win the Stanley Cup without a single loss.